After the resurrection by the HMD Global, Nokia has received a great response from the market for their first set of Android smartphones in 2017. Nokia 6 – mid-range smartphone was the best out of all. Even in 2018, Nokia is planning to hit the stores with their next set of high end Android devices. Nokia 4 is going to be one of those which is rumoured to be released early this year. Here is everything we have accumulated about the device so far to give you an early update. Chinese blog GizChina reportedly got the update about Nokia 4 from the apk file of the Nokia upcoming camera app. 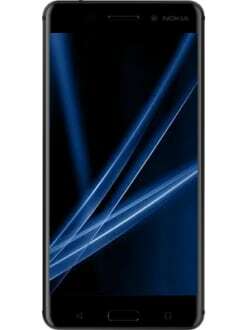 The device is also said to be a fresh – all new set of features and specifications. Nokia 4 is rumoured to feature a 5-inch IPS LCD display with resolution 1920 x 1080. Again, it would be exciting to see if Nokia comes up with curved display or not to compete with the current market in the same price segment. 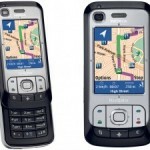 As following the Nokia standard, the device can be built over an all metal aluminium body. The finger print sensor is rumoured to be placed in the front of the device for quick unlock access – it will be same as the other Nokia devices released so far. In the hardware section, Nokia 4 will have Qualcomm Snapdragon 435 chipset. The clock speed will be 1.4 Ghz with an Octa-core processor. It will be a mid-power smartphone which might not provide a smooth experience while playing high end games or handling high end apps. Nokia 4 will feature a mid-range storage specs of 32 GB internal storage with 3 GB of RAM. It will also support an external microSD card up-to 128GB to store more data.It is not yet clear that if company will go with The 4 GB and 64 GB variant too for the avid smartphone users. 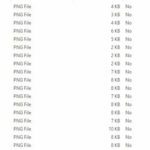 The apk tear down of the camera app looks promising. It clearly Indicates the high-end features like Pro Mode, Shutter Speed Control, Telephotomode, Zoom Press and Shade controls. With the above features, you will be able to fine-tune your images under low light clicks. The primary shooter is rumoured to be 16 MP lens with Phase Detection and Geo tagging. It will also feature HDR and Panorama Mode. 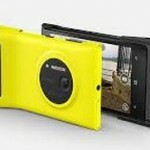 It is also said that camera will be able to shoot videos at 1080p with 30 frames per second. Nokia 4 will pull out its energy from the 3300 mAh lithium-ion battery which will be inbuilt in the device. It is still not sure whether the device will support fast-charging. The smartphone will feature a dual sim mode. Under the connectivity section it will have VoLTE support with the 4G connectivity. It will feature the Bluetooth v4.0, Wi-Fi, hotspot, GPS and NFC for data transfers. 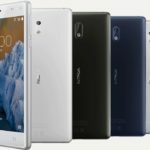 The Nokia 4 will run the stock Android 7.1.2 i.e. Android Nougat and will also receive the Android Oreo update in the future. The Nokia 4 is supposed to be a mid-range smartphone to be priced under 8000-10000 INR range and will directly compete with Xiaomi Mi devices and Lenovo under the same price segment. The china launch is rumoured to be in January 19 following which the device will be unveiled in India and to be available in online and offline stores. 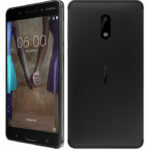 Nokia 4 will hit market with one variant – Black. Stay connected with us to know more about the leaks and rumours. We will also update you about the availability of the device.